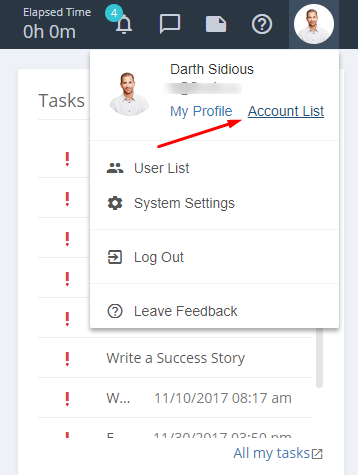 How to use several accounts under one user account? Flowlu allows to create several accounts for different purposes. For example, two accounts for different organisations or one for business purposes and other - for personal purposes. Creation of xtra account does not take much time. You will have to just type name of the portal. You will enter accounts. You will sign in using one e-mail and password. Notifications on changes and messages will take place in browsers and mobile applications from all of your accounts. To create second account press Account List button. Page for account selecting will be opened. Click on “create account” button. Page with form designed for creating new accounts will be opened. Enter portal name and click on Create account button. After that you will get to new portal activity feed. An e-mail containing link for entry to new account will be sent. Congratulations on creating second account in Flowlu! Now you can log in to your accounts using one e-mail and password. Straightforwardly by portal address or joint link for entrance: https://my.flowlu.com. This way system will allow to choose an account. Or you can work in several accounts at one time. If one of accounts will be closed, you will get notifications from this account in browser or push notifications to your smartphone and be informed. 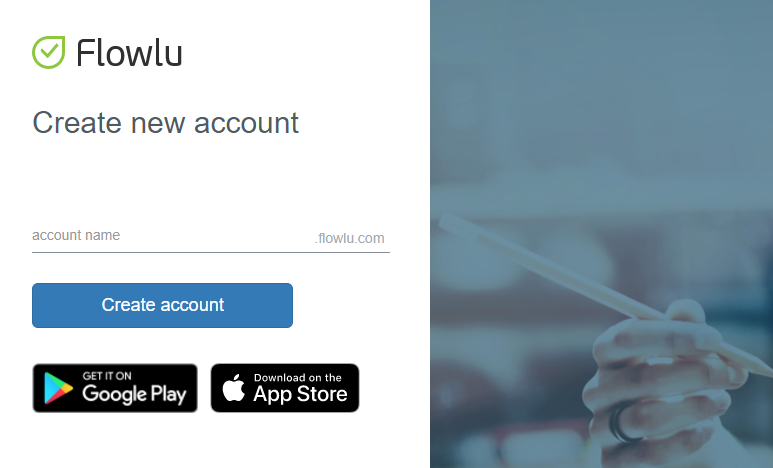 keyboard_arrow_left How to link registered account in Flowlu to Google account?